Being a personal trainer and yoga instructor, I didn’t really have any experience with Qigong before the year 2012. However, I was always interested in mind body practices, so when I came across Lee Holden qigong for beginners (otherwise known as Discover Qi), which I could access online from the privacy of my home, I was intrigued. The first step is to know what Qi feels like. I signed up to to get three free videos from one of Lee’s websites to see if I would actually be able to have an experience of what this mysterious ‘Qi’ (pronounced chee) was all about. I will admit I was a little skeptical about it and I had in my mind that exercises such as these are really only what older people practice. But once I went through Lee’s free videos, I was hooked. I was able to feel what Qi actually was so I bought the entire Discover Qi course from the Mindvalley Academy platform, and have not looked back since! Update: Discover Qi is no longer available, but for my recommended Lee Holden beginner qigong program, click here. Lee’s Qigong instruction takes the mysteriousness out of Qigong and makes it very user friendly for the western mind and gets you into action straight away. He says that the culture in China (where Qigong originated) is more to follow instructions and not ask questions, where is in the west we usually want to know why we are doing something. He teaches in a style that lets the western mind know why we are doing a particular exercise and how it benefits us. If there was a spiritual belief system that I could name that I follow, it would be the teachings of Abraham Hicks and the Law Of Attraction. The Law Of Attraction teaches that we attract to us whatever our dominant feeling state is in life, so if we are consistently feeling good because of a certain inner cultivation we choose to take part in daily, our life is more likely to be filled with things that are enjoyable for us. Therefore, what better practice than Qigong to commit to on a daily basis? It embraces the mind, the body and the emotions. 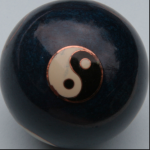 It teaches the path of least resistance through Taoist practices. It is more than just physical exercises, it embraces a whole life philosophy that promotes flowing with life rather than fighting it. How can Qigong can help you. These positive results of practicing Qigong will really only be felt after some consistent practice of it every day, however it has quicker results than other exercise programs. After just one week of practicing Qigong with a qualified teacher you will notice an improvement in your energy levels and sense that you are more calm in your day to day activities. Try a Qigong beginner exercise now! Go to this page and scroll down to the bottom to experience Lee Holden’s teaching. Yoga has helped me so much but this sounds like it facilitates health even further by connecting the body, mind and emotions. I am very interested in this practice and love that you have provided a link to a free trial! It sounds like Qigong for beginners by Lee Holden is a great place to start if you are looking to incorporate a little bit more mindfulness into your workout and go beyond strictly physical exercise! Glad you found this interesting Aheg! i believe in doing exercise for health purposes and Qigong looks like it could revolutionise exercise for all ages. It looks like something that even i would eventually indulge in.I can see that following this course could attract a lot of people who would be interested in participating. You are never too old to exercise. So true Andrew! The only time you are too old to exercise is when you are dead haha! I have always wanted to try qigong exercise but haven’t had the opportunity to do so. I am also a big believer in all of Abraham Hicks’ the Law of Attraction, and I do believe that it all begins with how we think. If we feel better in our bodies it is clearly a better way to approach healthier thinking. It seems Qigong is a great way to attain both. Great post and thanks for sharing this information. I’ll be coming back to learn more. Hello meherbani. I am a long time follower of Abraham Hicks and have even gone to see them live twice. But it has not really been until the last 6 months or so that I am really starting to ‘get’ their message-it is all about feeling good FIRST rather than waiting for the external condition to arrive in order to feel good. I am not sure why this concept has taken me so long to truly embrace, but Qigong fits in perfectly with this as it combines everything that the Law of Attraction talks about-vibration, energy, emotional set points-it is all there! I have signed up for my 3 free lessons so am looking forward to trying it out and I cannot wait! I too am very interested in the law of attraction, having started with the book the secret in 2013. I agree that there is a lot to be said for mind body exercise. I feel that a lot of the things we go through we have attracted in some way into our lives. I am interested in qigong after reading your article because it sounds like it would be a great mind balancer as well as a nice way to relax with exercise. Hi Keith, the great thing about Qigong in the beginning it is not so much about mastering any of the exercises in order to get benefits, because the beginner practices are so user friendly. The main thing is taking on a consistent practice. As a former yoga instructor I can say 100% that it is much easier than yoga! Yoga has more benefits in terms of building muscle strength, but it all depends on what your goals are. If your goals are to increase flexibility, calm your mind, have more physical energy and feel more alive and an increased sense of happiness and joy, then Qigong is all you really need. Yoga has a more physical focus than Qigong but knowing what I know now, it is more beneficial from a health perspective to be focusing on the core of what we actually are-which is energy. Qigong helps you to tap right into that from the start, where is yoga is more about trying to master physical postures before you can start to feel an increased feeling of energy. Don’t get me wrong-I still love a good stretch with yoga, but in terms of practicality, ease of practice and the fact you can practice Qigong anywhere, it is my first choice of practice now.